As I opened my laptop and waited for it to switch on, I caught a glimpse of my reflection on the screen; my misbehaving noodle-like hair gone wild combined with my bare-face reddened thanks to ‘that time of the month’ and my mismatched pajamas. It made me wonder, if my Editor saw me right now would she still want me to write this article to be featured under ‘beauty’? Whenever I fuss over not appearing a certain way that I’d like to be, my mother’s voice boomingly echoes in my head. I remember what she told me as a little girl, “Hira, you can have the most stunning face in the world, but if you have an ugly heart, it’ll always show more than the ‘beauty’ that is on the outside.” Settling at peace with those wise words, I pondered at the uncountable stunning faces I see every other minute on social media but rarely does ‘inner beauty’ radiate that can only come with a good heart. At that very moment with that very thought, Huda Kattan’s beautiful smiling face flashed across my memory. Settled in the Middle East, Dubai, Huda Kattan’s sensational brand ‘Huda Beauty’ has spread like wildfire worldwide! Huda’s positive vibes, ambition driven determination and kind natured personality are what adds to her beautiful persona. Even someone like myself who is nowhere close to having the artistry that’s required for make-up nowadays and prefers to stick to my basic concealer, khol, and cherry chapstick, cannot resist following ‘Huda Beauty’ on all social media platforms. When it comes to make-up, being ‘that lazy girl’ taught me one essential rule about skin care; the healthier the skin the more you can get away with less makeup coverage! Luckily, ‘Huda Beauty’ social media posts don’t only teach the artistry of make-up but also provides the ultimate DIY beauty tips, absolutely chemical free and rejuvenatingly natural. Tip #1: Lose those ‘emotionally attached’ blackheads! 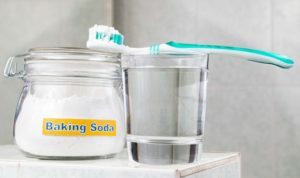 You’ll need a clean soft toothbrush, toothpaste, baking soda and water. Take out each using the measurement of a teaspoon and mix both ingredients with water to make a paste-like mixture. Use the toothbrush to apply the mixture to the needed area and let it sit for about 30 seconds, rinse it off and voila! Tip#2: Why pay for Botox? You’ll need a ripe banana, blueberry yogurt, and honey. Slice the banana in ½, add ¼ of the blueberry yogurt and a teaspoon of honey, mix it all up to create your natural Botox facemask. Let the mixture sit on your face for 15 minutes, you’ll start to feel your skin slightly numbing but that only means it’s starting to work on those wrinkles! Tip #3: Dear acne & dark circles, it’s over! You’ll need turmeric, honey, yogurt, and lemon juice. Take out each using the measurement of a teaspoon and mix it into a thick paste. Apply it all over your face and wait 20 minutes, rinse and pat dry! 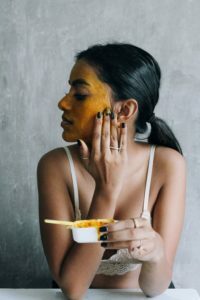 Here’s a quick 101 on the benefits of using the natural ingredients; turmeric consists of beneficial antioxidant properties that reduce inflammation and redness of the skin, honey works as a brilliant moisturizer while yogurt is your go-to exfoliator and lemon juice fights oil and lightens the skin. As usual.. a well researched and well written article! Loved it! Definitely will be trying the beauty hacks! Very nice article , I will try those tips.